Courbet excels in the art of discretion, the practice of elegance. 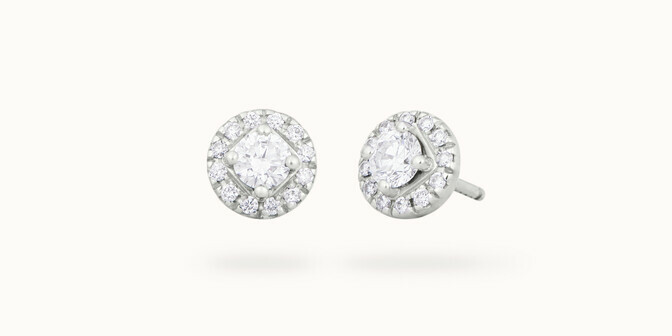 Our artisans have imagined a complete range of white gold earrings, created in the finest tradition of French luxury, so that you will find the pair that exactly reflects who you are. 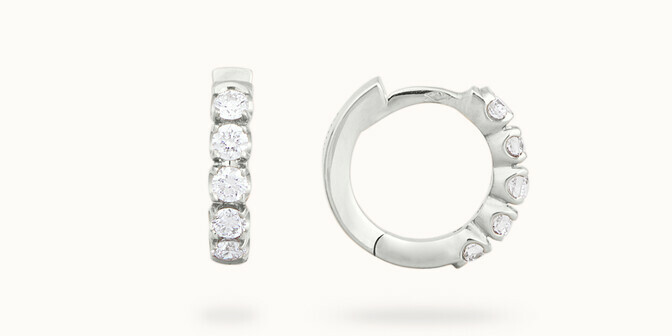 Truly an ode to femininity, earrings have a special place in a jewellery wardrobe. 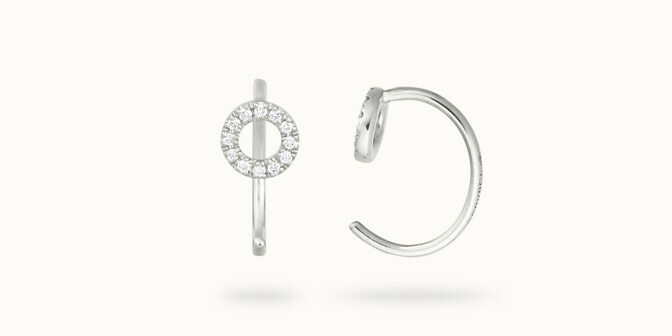 The only jewels to be worn in pairs, they represent diversity in unity. A woman and a mother, force and fragility, tranquillity and determination, which are you? 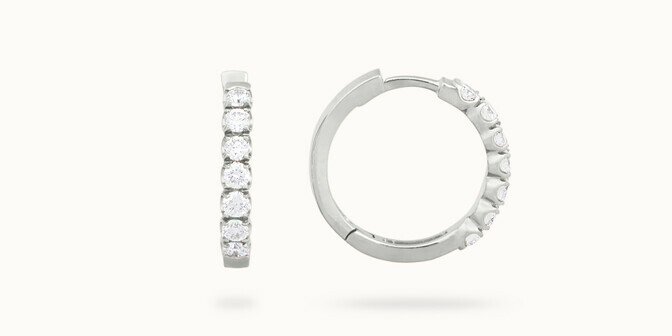 For every day or for special occasions, the earrings you wear express your individuality, suddenly appearing from behind a lock of hair to catch the eye. 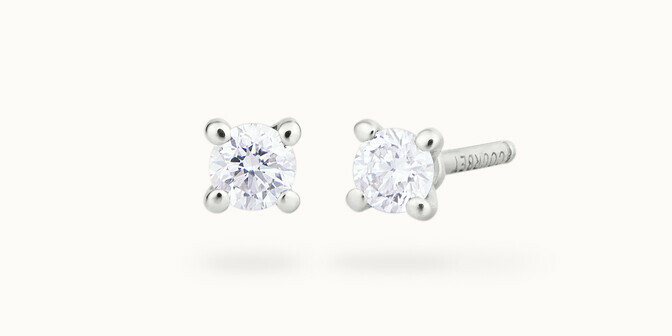 Perhaps more than any other item of jewellery, white gold earrings illuminate and highlight the beauty of a woman's face. 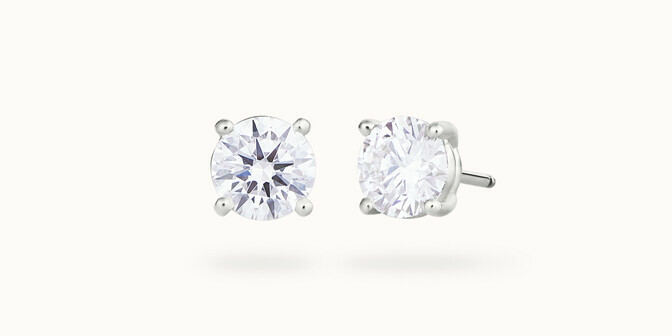 White gold earrings from Courbet testify to the personality of the woman who wears them. With such diverse collections to choose among, we offer you a unique possibility: to find the one that will set your heart alight. Whether elegantly subdued or fabulously baroque, our jewellery adapts to every style, with poetic symbols such as a C and an O united, the endless cycle of the universe, or lovers together until the end of time. 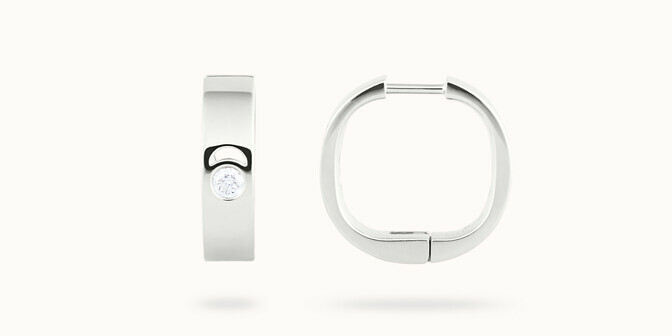 After all, what else, other than jewellery, can celebrate the power of eternal love? Gold has always been the metal of choice for luxury jewellery, and white gold is now the most sought-after of all for the remarkable qualities that we bring out, with infinite subtlety, in our jewels. Laboratory-grown in keeping with our environmental principles, we select each of our diamonds according to the four criteria of Cut, Colour, Clarity and Carat.